Giant UFO Hovers Over Statue Of Liberty In New York On April 19, 2017, Photos, UFO Sighting News. If you were an alien and wanted to see some of the American culture, what would you want to see? 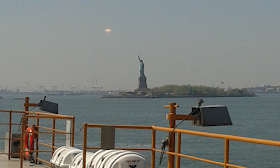 The Statue of Liberty of course. Well, sometimes humans think similarly to aliens in that aspect of curiosity and places. 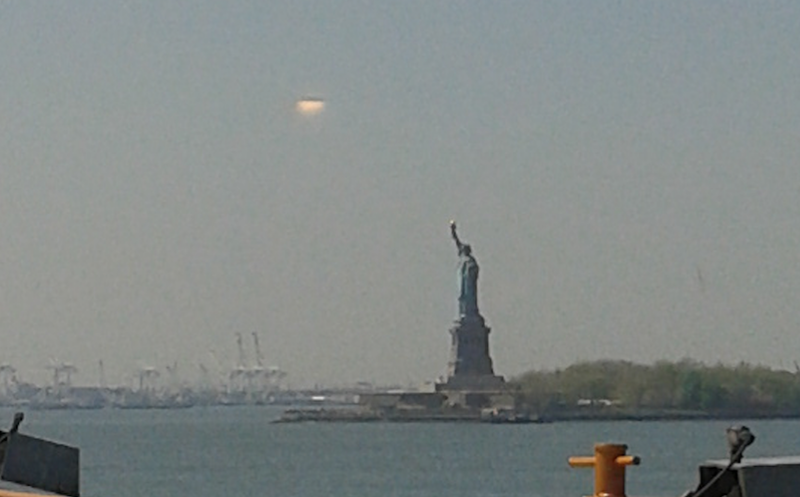 I'm kind of amazed that something so large could easily hover over New York and not even be intercepted by USAF jets. It just goes to show how old tech most military radars are today. 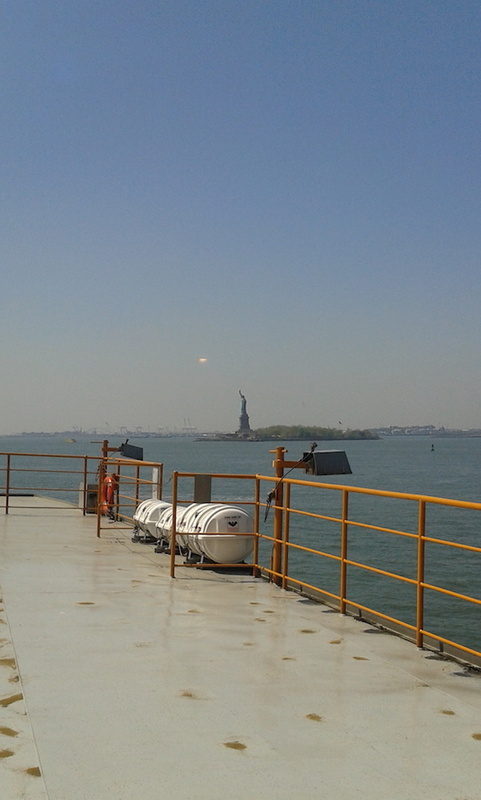 1.Hudson river, passing by to see the statue of liberty. 2.Later on looking at the picture. Notices a bright light with object on top. 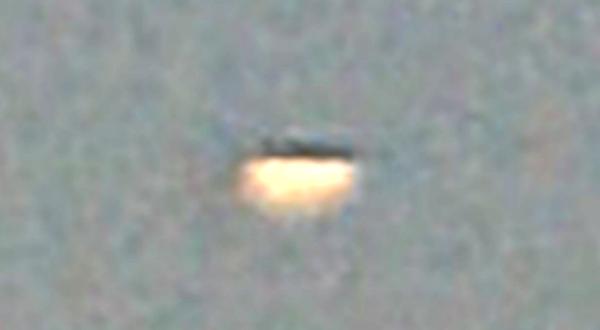 3.Thought it could definitely be a UFO. 4.I can't describe the object and how it behaved because I notice on the picture. 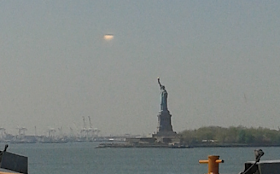 5.I felt like this is a good opportunity to see I actually snapped a UFO. A real one. 6.I never had sight of it, didn't notice until reviewing my pictures. Above is the enhanced photo, below is the original untouched version.